Itchy may not know much about art, but we know what he’s like. Knee’s Picasso is the “black jug and skull” (1946). If you are reading this in January, then Happy New Year! Otherwise, just Happy Year. 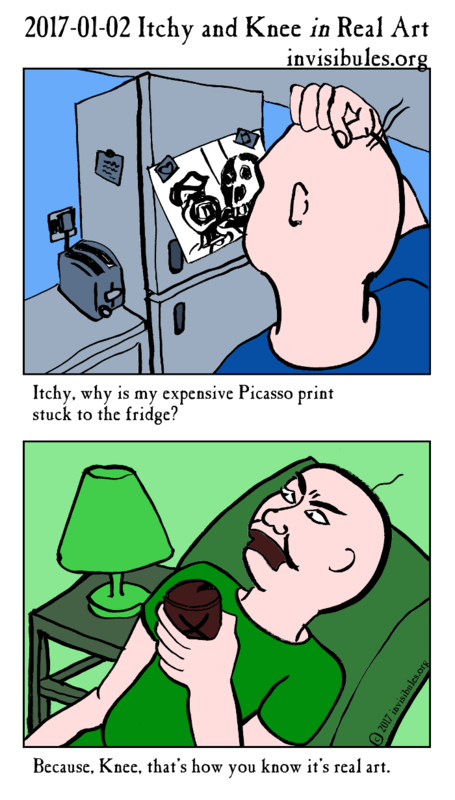 Knee: Itchy, why is my expensive Picasso print stuck to the fridge? Itchy: Because, Knee, that's how you know it's art.